The Bangko Sentral ng Pilipinas (BSP) has slapped a record P1-billion (US$21.2 million) fine on Rizal Commercial Banking Corp. (RCBC) for its role in the theft of $81 million from the account of the Bangladesh Bank with the Federal Reserve Bank of New York. RCBC said it would comply with the order and pay the fine in two tranches, reports The Philippine Star. The money found its way to RCBC’s Jupiter branch in Makati before ending up in Manila casinos. In a statement, the BSP said the Monetary Board has approved the imposition of supervisory enforcement action on RCBC relating to the Bangladesh Bank’s cyber heist. “This affirms the BSP’s strong commitment to ensure the stability of the country’s financial system through strong and effective regulation of BSFIs,” the bank regulator said in a statement. 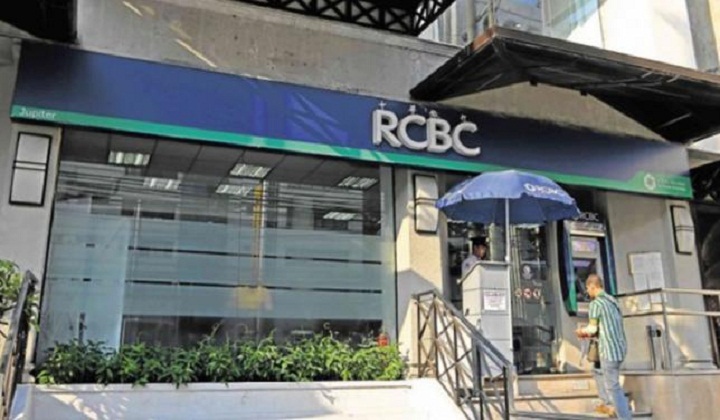 RCBC president and CEO Gil Buenaventura said the bank would comply with MB Resolution No 1392 by paying the fine for non-compliance with banking laws and regulations in connection with the cyber heist. The amount would be paid in two equal tranches over a one-year period. Hackers tried to steal close to $1 billion from the Bangladesh Bank account with the Federal Reserve Bank of New York last February. The US bank was able to stop 30 of the 35 transactions. However, five transactions involving $81 million entered the Philippines via RCBC under fictitious accounts allegedly facilitated by dismissed RCBC Jupiter branch manager Maia Santos-Deguito and customer relations officer Angela Torres. The Anti-Money Laundering Council headed by executive director Julia Bacay-Abad has filed cases with the Department of Justice (DOJ) against Deguito, Wong, Wei Kang Xu, businessman William Go and the supposed owners of the fictitious bank accounts. AMLC’s Abad said authorities are still looking for around $21 million as it has already accounted for about $60 million, including the $15 million turned over by Wong representing abandoned funds of casino junket player Gao Shuhua, the $28 million with Solaire Casino and the $17 million allegedly with Philrem. Abad said a lower court in Manila has approved the forfeiture of the $15 million turned over by Wong and which is now kept at the BSP vault. She explained the Bangladesh Bank would have to file a third party claim before the lower court. Meanwhile, Bangladesh Ambassador John Gomes said they are unaware of the BSP decision, said the Philippine newspaper. Gomes said there is a big gap in the investigation conducted by the BSP, AMLC and the Senate Blue Ribbon committee that centered on personalities involved and not RCBC. “RCBC has been pointed out in this issue but we did not even see that RCBC is being held responsible,” he added, reports unb.